A Google project must be available before you can configure the Google Analytics Adapter. A Sign in dialog for the Google Developers Console opens, as shown in the following image. 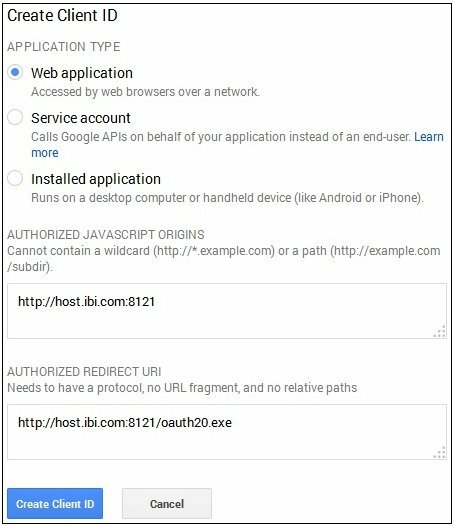 Enter the Google sign in credentials using an account that has administrative rights to the Google Analytics environment, and then click Sign In. 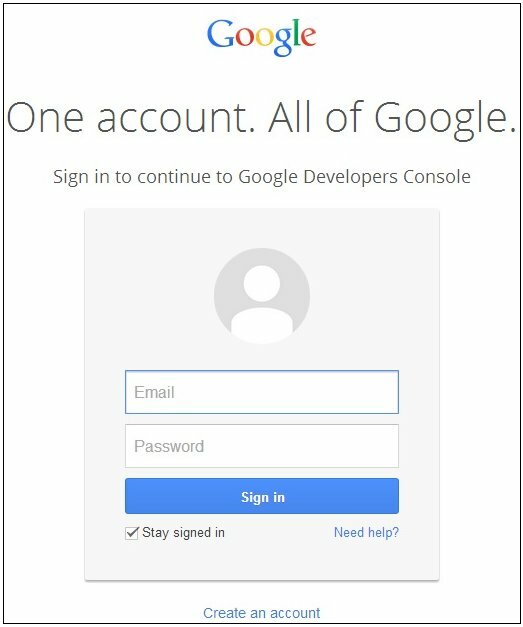 The Google Developers Console screen opens, as shown in the following image. The New Project screen opens, as shown in the following image. Enter a project name and then click Create. The page that is used to configure the project opens, as shown in the following image. 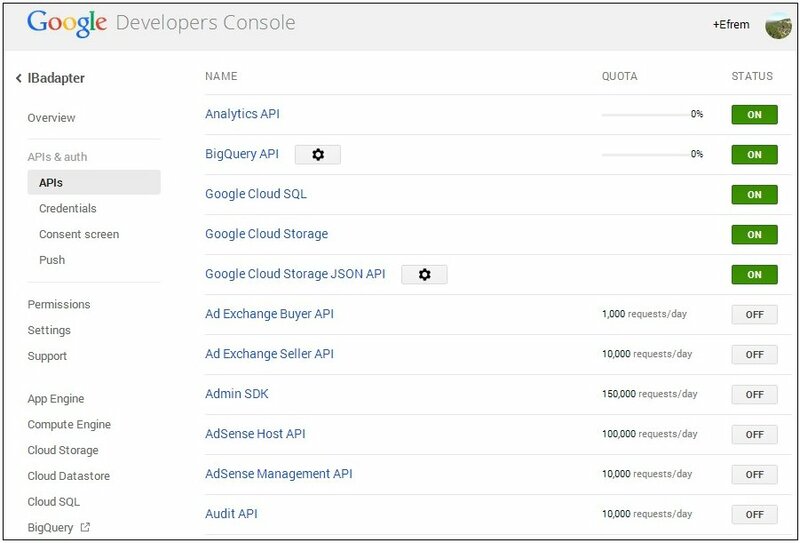 Click APIs & auth in the left pane. For the Analytics API parameter, toggle the STATUS button to ON. Click Credentials in the left pane. The page to configure OAuth security opens, as shown in the following image. The Create Client ID page opens, as shown in the following image. Select Web application from the list of application types. Enter the host name and port used to access the WebFOCUS Reporting Server Web Console with oauth20.exe in the AUTHORIZED REDIRECT URI field. If the WebFOCUS Reporting Server is installed as a standalone server, then http://localhost/oauth20.exe should be specified as the value in the AUTHORIZED REDIRECT URI field. The Client ID for web application page opens, as shown in the following image. 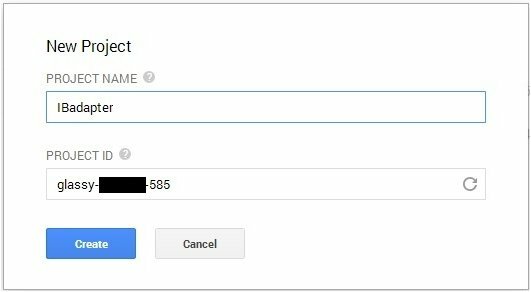 The Client ID and Client secret values are required to configure the Google Analytics Adapter. You are now ready to obtain the Web Profile ID for a website within the Google Analytics environment.